Home » Art , Patagonia , Prehistoric Art , Santa Cruz , Unesco » Cueva de las Manos, a Cultural Heritage Unesco in Santa Cruz province. 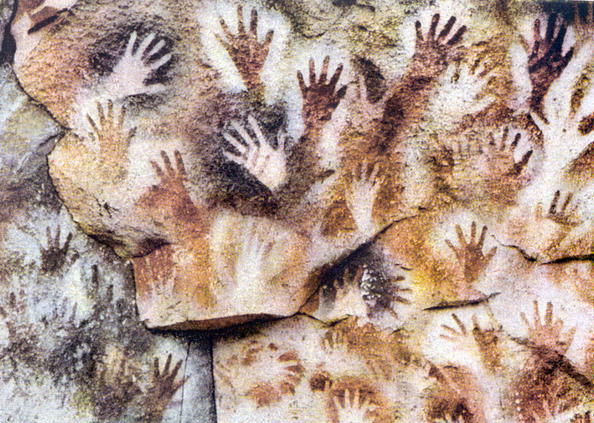 Cueva de las Manos, a Cultural Heritage Unesco in Santa Cruz province. Surrounded by hundreds of kilometers only by the constant sound of the Patagonian wind, Pinturas River Canyon opens. 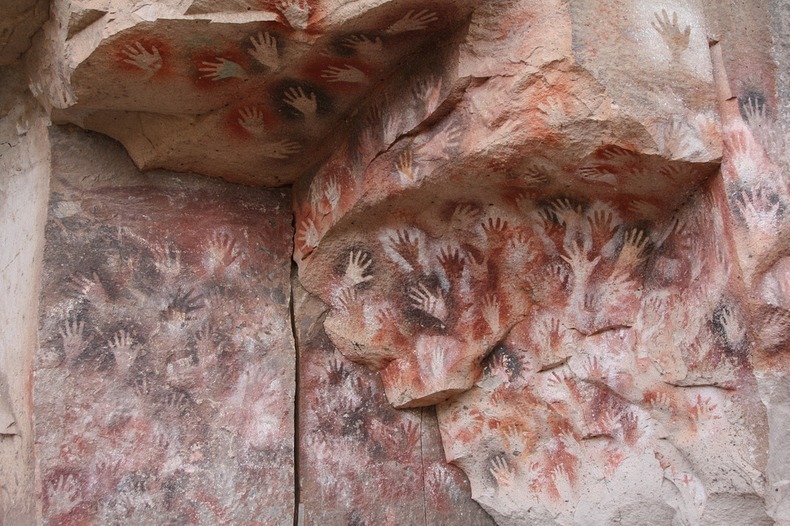 There, in the folds of its high walls, the rock art of Cuevas de las Manos, where settlers 9,000 years ago sealed their art and their witness of life is discovered. His fame is not for nothing. 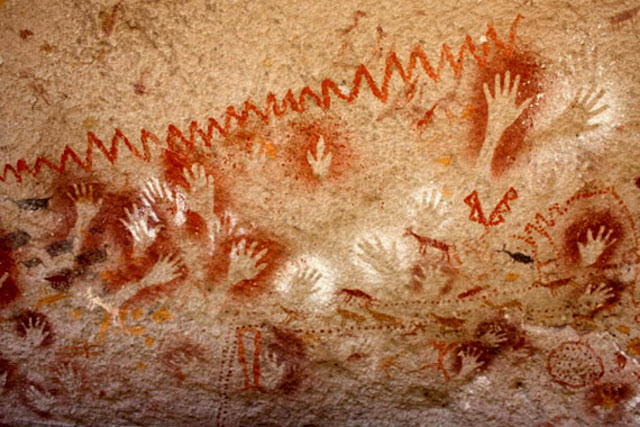 Those hands, guanacos and geometrical figures stamped on the stone of the cave are the oldest expression, knowledge of South American peoples have. This was understood by Unesco in 1999 when he was named Cultural Heritage. Its location, lonely, amid the northwestern Santa Cruz steppe enables you kept almost intact. 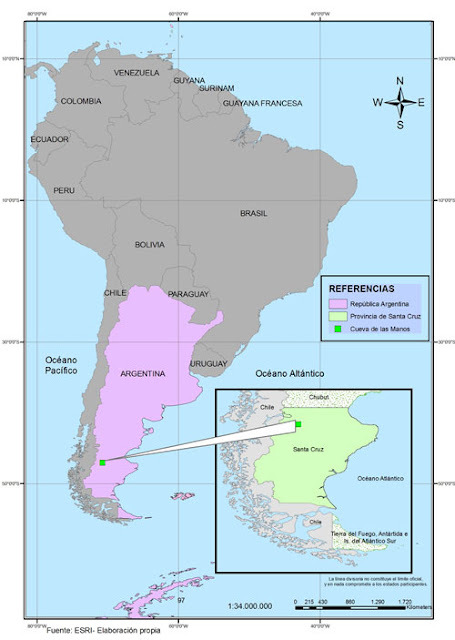 The nearby as people, Perito Moreno, is 163 kilometers away. And beyond, and near the Cordilera, it is the ancients, who was the resting place of the elders of the missing Indian tribes. 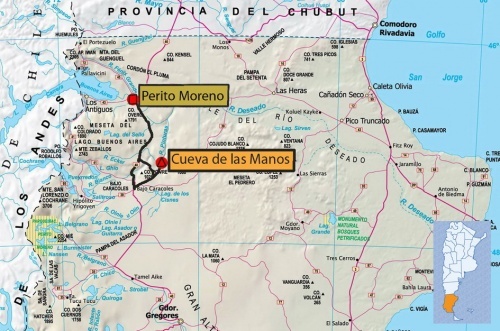 This whole area and not just the cave, including NacionalPerito Moreno Park (not to be confused with the Glacier National Park, which preserves the Perito Moreno Glacier. 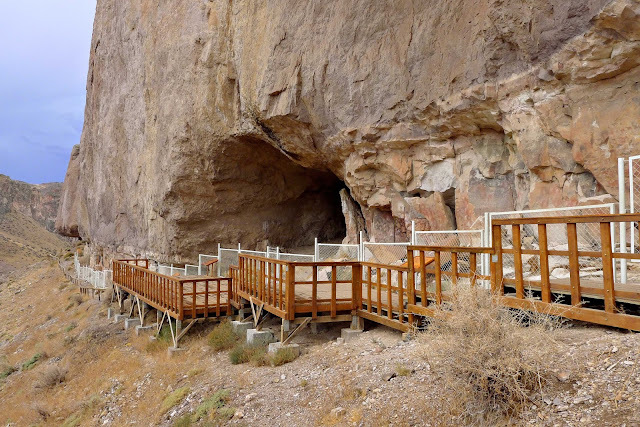 La Cueva de las Manos is a rich archaeological and paleontological site. 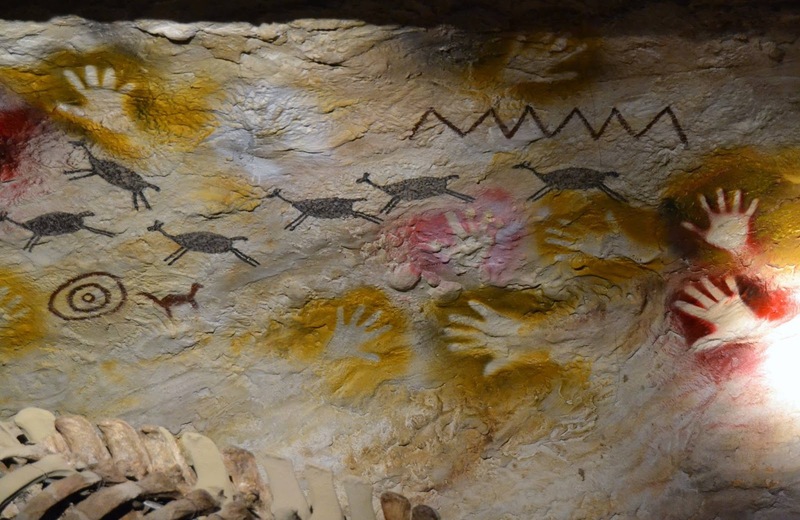 The valleys, canyons, lakes and rivers that make up rock shelter celosamentepinturas and different types of archaeological sites in their fields men who walked 14,000 years BC. And in the grass, sea fossils testify that this region was long before that old man dwell. In fact, the town of Perito Moreno is called the archaeological capital of the Province of Santa Cruz. 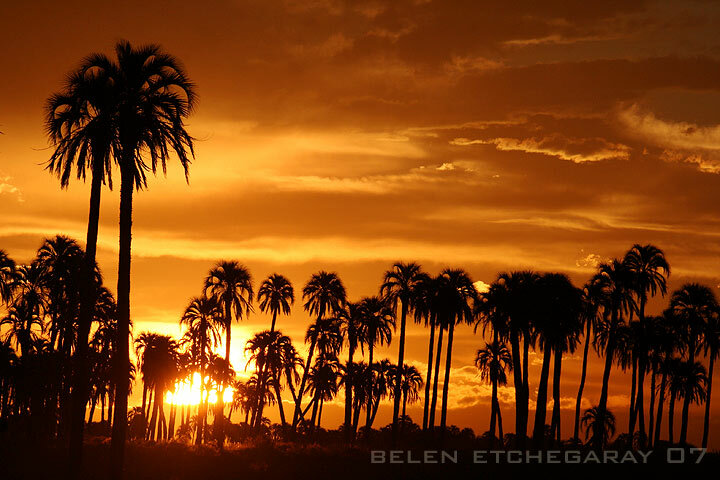 Birds of Argentina by Alec Earnshaw.